Shalom Alecheim – Peace to You! As a congregational rabbi my most fulfilling work is leading bar and bat mitzvahs, baby naming ceremonies, end of life rituals, and traveling to perform spiritually centered destination weddings. I have been the spiritual leader of Havurah Shir Hadash Synagogue, a Jewish Renewal synagogue in Ashland, Oregon since 1996. It is a privilege to serve G-d and the Jewish people in this way! 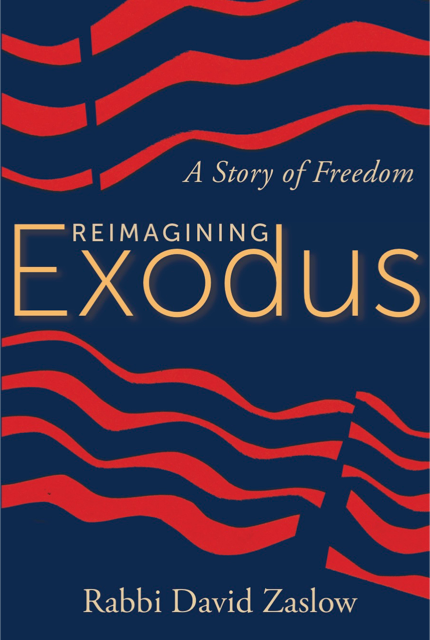 My new book, Reimagining Exodus: A Freedom Story, is based on solid, academic scholarship. It attempts to bridge the gap between Judaism and Christianity without diluting the unique features and spiritual practices of each religion. The Exodus is the most influential freedom story ever told. It has served as both an inspiration for Puritans, American revolutionaries, abolitionists, Mormons, the modern civil rights movement, and revolutionaries the world over. In Jewish tradition, the Exodus is also applied to every individual’s life journey. The book is available now and orders are being taken now by Amazon, your local bookseller like Bloomsbury Books that we are fortunate to have in Ashland, Oregon, or by your favorite online bookseller. I am honored that the book has been endorsed by Rabbi Goldie Milgram, Rabbi Julie Danan, Rabbi Arthur Green, Rabbi Wayne Dosick, Rabbi Brad Hirschfield, Marriane Williamson, Rodger Kamenetz, Father Mike Walker, Dr. Sam Edelman, Rev. Anne Bartlett, and Rev. Barbara Campbell. • Check out the article about the book in the Ashland Daily Tidings. • Check out the 30 minute television interview I gave on theDove with Rev. Perry Atkinson. The transliterated siddur (prayerbook) that I edited, Ivdu et Hashem B’simcha, is available as a PDF eBook perfect for your laptop, iPad, or smart phone, or in hard copy book form from Amazon. The book has been adopted as the siddur in synagogues and havurot all over America and contains contemporary and inspiring new translations and easy to follow transliterations. I hope you find the website educational and and enjoyable. Some of the pages reflect my earlier career working with teachers and children in public schools that began more than forty-six years ago, as well as my current work as a congregational rabbi, writer, and guest lecturer. You are invited to check out my books, essays, and poetry. Over the years I have had the honor of recording some wonderful Jewish songs and children’s poetry that are available for FREE downloading here. In partnership with composer/pianist Patti Moran McCoy I wrote and produced original children’s poetry set to the fabulous blues and jazz she composed and arranged. We recorded them the early 1980’s, and they are now available to you free for the first time in over thirty-six years. You’ll be able to download the poems/music along with the PDF of the corresponding text under the heading Kid’s Poems on this website. Along with poet Lawson Inada we were awarded the American Book Award in 1988 for our double LP called Shakin Loose with Mother Goose. In recent years some of my most important work has been in organizing interfaith gatherings with representatives of all religions and spiritual paths. In addition, on this website you’ll find books of poetry that I’ve written for both adults and children.